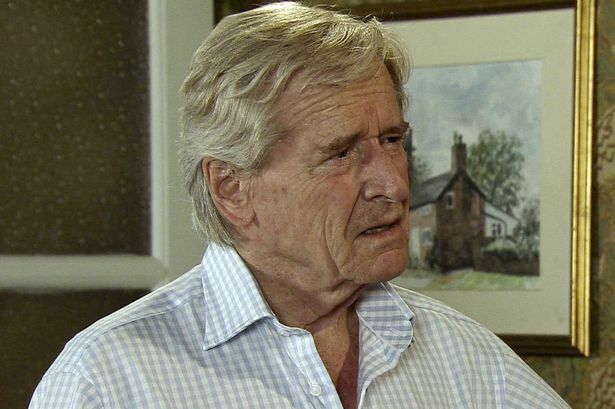 Actor William Roach, who plays Ken Barlow in the ITV soap opera Coronation Street, has announced he is to leave the Street to avoid being typecast. William Roach has played Ken Barlow since the first episode, which aired on December 9th 1960. Ken has become a mainstay of the soap over the years, but William Roach believes the time has come for him to move on. He made the announcement this week on daytime TV show Loose Women. When asked about the length of time he had been on Coronation Street, William quipped how all good things come to end. The interviewer, Colleen Nolan, pressed William for more information and he revealed he is set to leave the show. I’m still a young man and the time has come for me to move on. I don’t want to play the same character forever, and I don’t want to be typecast as Ken Barlow. I quite fancy doing a sitcom, and maybe some action movies. I want to do these projects while I’m young enough, and while the public will still accept me as a different character. No details have been revealed on the manner of Ken’s exit, but William did confirm the door will be left open should he wish to return. I may want to go back in a few years, so my exit isn’t a final one. Ken Barlow’s final scenes have been filmed, and they’re set to air in April.